One mid-century nurse who killed two patients by giving them the wrong drug - while he was drunk - was only suspended for a week . By making hospitals part of their social mission in the late nineteenth century ... lent respectability to institutions which had always been associated with poverty and dependence . In the categories of popular social understanding, hard-working and church-going citizens did not belong in the company of paupers, prostitutes, alcoholics, and the dependent generally; indeed, a significant motivation in the founding of private hospitals and dispensaries was that very desire to maintain the distinction between the hard-working worthy poor and the almshouse's appropriate pauper residents . Again, for hospitals, function dictated the architectural form. Since numerous religious and secular groups constructed hospitals, the religious association of a facility will most likely only be apparent in its name or in historic documentation. 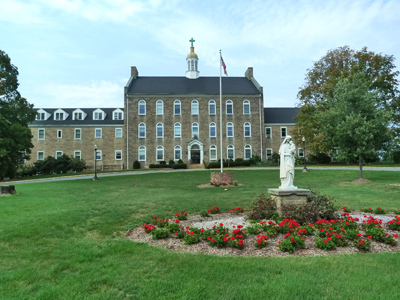 In 1922, this property - originally a Catholic monastery - was converted into a hospital to serve St. Marys City. 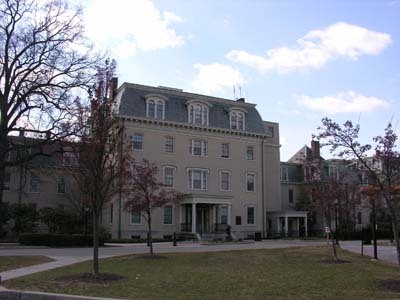 The hospital was founded by three daughters of local businessman Andrew Kaul and named in his honor; it was originally run by the Sisters of the Order of St. Benedict. Following a fire in 1934, the hospital had to be partially rebuilt and, in 1978, the facility was given to the community. It continues to serve as a hospital for the area today. 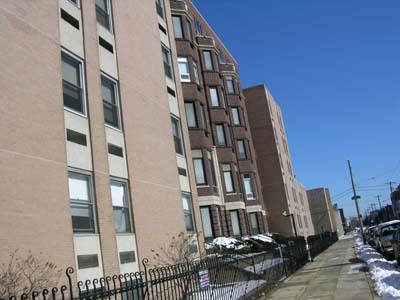 The property consists of one building that has been added on to several times. 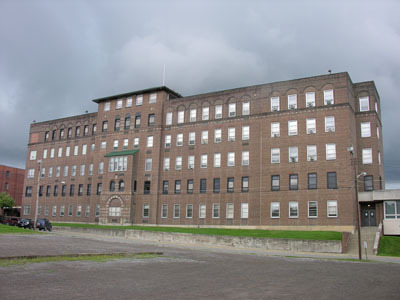 Founded in 1908, New Castle Hospital - its name was changed to St. Francis Hospital in the 1960s - moved to this building after it was constructed in 1918-1919. This building served as a hospital until at least the mid-1980s, but it is unclear if it still functions in that role. The hospital was founded by the Third Order of St. Francis. This property consists of only one building. As a result of a $250,000 bequest from Methodist doctor Scott Stewart in 1877, the Methodist Episcopal Hospital (currently Methodist Hospital) was incorporated in 1881 and a board of trustees was appointed by the Methodist Episcopal Church. Construction of the hospital began in 1888 and, by 1892, it opened for business, along with a school of nursing. In the 1920s an addition was made to the original hospital building. The original hospital building was demolished sometime between 1960 and 1975, replaced by modern buildings attached to the 1920s addition. In the 1950s, the hospital affiliated with Jefferson Medical College and, in 1961, it changed its name to just Methodist Hospital. In 1996, the hospital became part of the Thomas Jefferson University Hospital (Jefferson Hospital History; Jefferson Hospital Timeline). Founded by Quakers and opened in 1817, Friends Hospital has served as a mental hospital from that time up to the present. It was, in fact, the first private mental hospital in the United States. The property, has been added on to several times and currently consists of 20 resources: 10 contributing buildings, 1 contributing site, and 9 noncontributing buildings. Rosenberg, Charles E. "And Heal the Sick: The Hospital and the Patient in the 19th Century America." Journal of Social History, 10(4), (Summer 1977):430. Ibid., page 429-431; Rosenberg, Charles E. "From Almshouse to Hospital: The Shaping of Philadelphia General Hospital." The Millbank Memorial Fund Quarterly. Health and Society, 60(1), (Winter 1982): 111, 114, 125. Rosenberg, Charles E. "From Almshouse to Hospital: The Shaping of Philadelphia General Hospital." The Millbank Memorial Fund Quarterly. Health and Society, 60(1), (Winter 1982): 111. Casterline, Gail Farr. "St. Joseph's and St. Mary's: The Origins of Catholic Hospitals in Philadelphia." The Pennsylvania Magazine of History and Biography. 108(3), (July 1984):291. Rosenberg, Charles E. "From Almshouse to Hospital: The Shaping of Philadelphia General Hospital." The Millbank Memorial Fund Quarterly. Health and Society, 60(1), (Winter 1982):114.